Nob Hill’s relationship with art is deeply rooted in the district’s history, from film shown at the historic Lobo and Guild theaters, performance spaces presenting dancing and acting, galleries showing a wide spectrum of art pieces from sculptures to paintings, and even down to the very design of the buildings themselves. Public art, like murals, sculptures, and installations, is no exception as it is an important factor of what makes Nob Hill such a vibrant, inclusive, and unique community in Albuquerque. 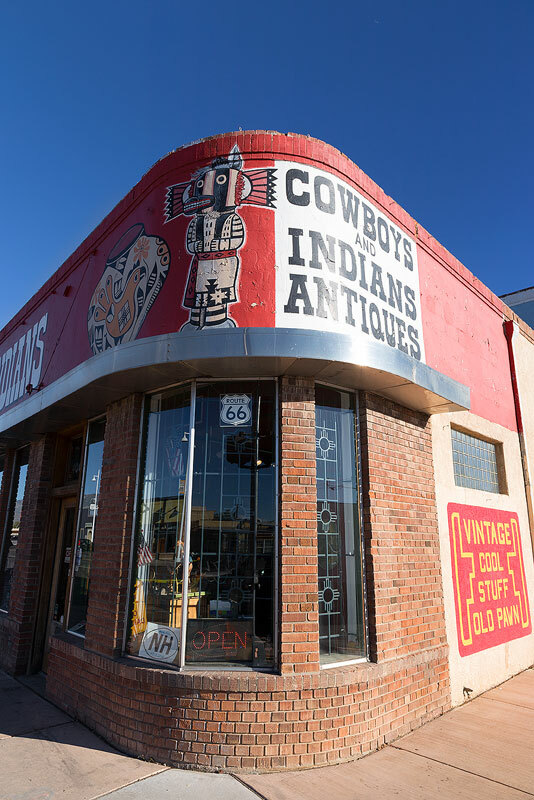 It catches people’s attention, encourages imaginations to wonder, and allows for an appreciation of this unique microcosm of New Mexican culture and rich Route 66 history. Other recent additions to the walls of Nob Hill include a beautifully detailed, monochrome piece utilizing themes from southwestern art created by local artist and educator Larry Bob Phillips. Another came from local artist Aaron Stromberg who used the history of Nob Hill to craft a bright, colorful mural celebrating the 100 year anniversary of the district complete with a centerpiece of the original developer of Nob Hill, D.B.K. Sellers. Nob Hill Main Street was able to assist in the creation of these two murals, and adding more public art to the district is a yearly endeavor of the organization. That’s why Nob Hill Main Street partnered with Albuquerque’s Mural Fest, to facilitate more canvases for local and national artists. 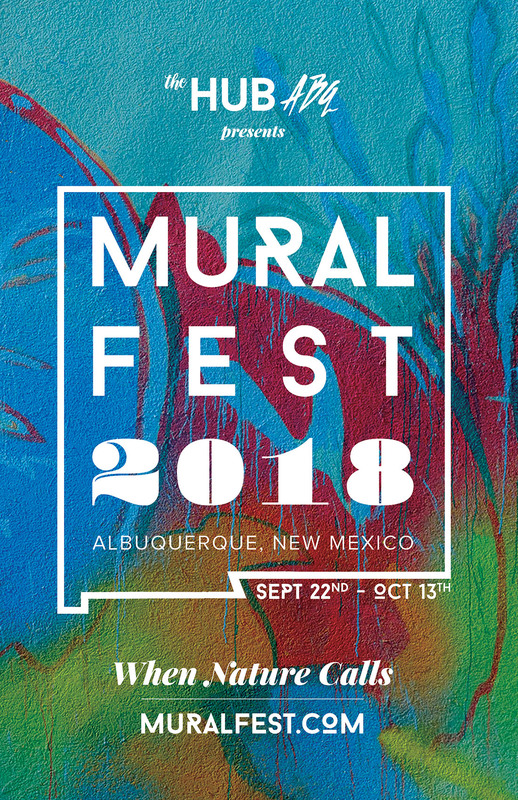 Mural Fest is a 22 day long public art event in Albuquerque that incorporates muralists from international artists to local favorites, all creating murals throughout Albuquerque’s Central Corridor. The locations receiving murals during this event include the West Downtown, Downtown, EDo, South Broadway, Barelas, Wells Park, Nob Hill, International, Indian Acres and Midtown districts. Mural Fest’s theme this year is “When Nature Calls,” coloring Albuquerque with murals covering a wide range of topics from sustainability, global warming, water protectors, farm-to-table, healthy eating habits, and the strength of community. 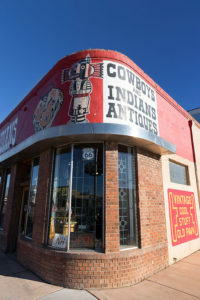 Nob Hill will be receiving murals related to this theme from artists like Larry Bob Phillips, alumni of the University of New Mexico’s graduate art program as well as creator of the “Alburquerque” Mural can be seen on the east wall of Artisan Art Supply at the northwest corner of Monte Vista blvd. and Richmond Dr.
We’ll also see Bearface, an experienced spray paint artist who participated in Mural Fest last year, as well as local artist/teacher and recent TEDxABQ presenter Melinda Forward from The Kindness Club. David Kappy will also be here, another Mural Fest veteran who created a mural in downtown. Another experienced Nob Hill muralist, Ernest Doty, will be creating a new mural on top of his previous piece that’s been seen in the district for years, and Christian Michael Gallegos will be taking his colorful talent from Downtown to Nob Hill. 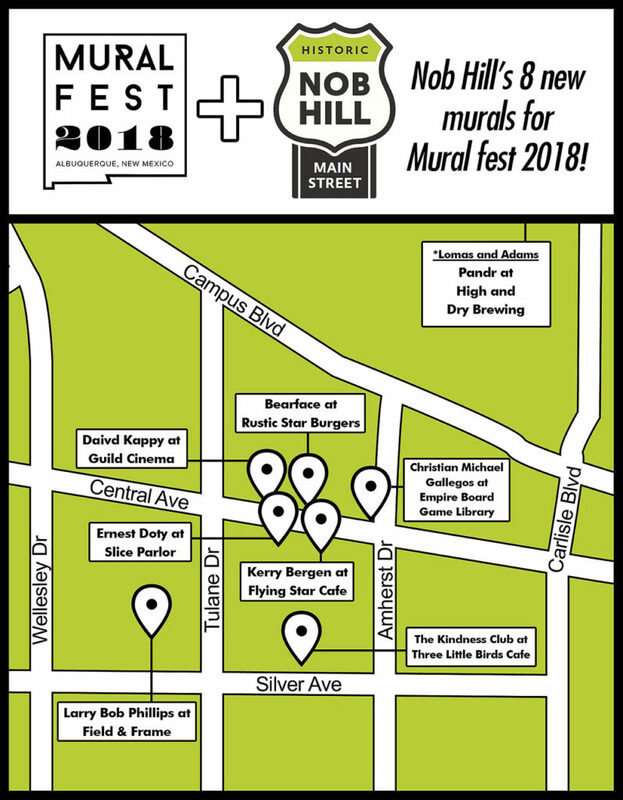 *Lookout for an updated version of this map including images of the new murals in our second Mural Fest blog! Not only will there be new murals created all around Albuquerque, but there will be plenty of celebrations going on to commemorate all these new art pieces! There are several events happening in Nob Hill alone, including a block party hosted by Nob Hill Main Street and Three Little Birds Café, live music at Tractor Brewery and Slice Parlor on Sunday, October 7th, and a commemoration at Rustic Star Burgers on Monday, October 8th. Make sure to come down to Nob Hill to see the murals in process or the finished pieces in October, and take in the new, exciting art that Nob Hill has always been known for. FYI, it all happens in conjunction with Albuquerque International Balloon Fiesta!